It's party time, time to go loco with the amigos. It's time to lighten up; time to sweeten up your life with a tangerine drink. Wherever you decide to celebrate, at the beach, on a mountain or inside a cave, make sure to carry with you this excellent drink that will make you so popular that you won't be able to stop dancing all night. After all, its clever combination of our best blue agave tequila with Russian vodka and Mexican organically grown exquisite tangerines is so charming and perfect that it will make you smile at life. 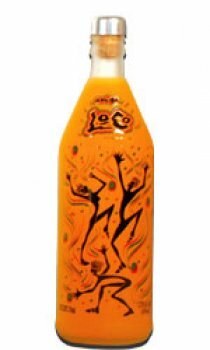 If it's time to play and run wild, it's time for amigo loco.... the bottled party.